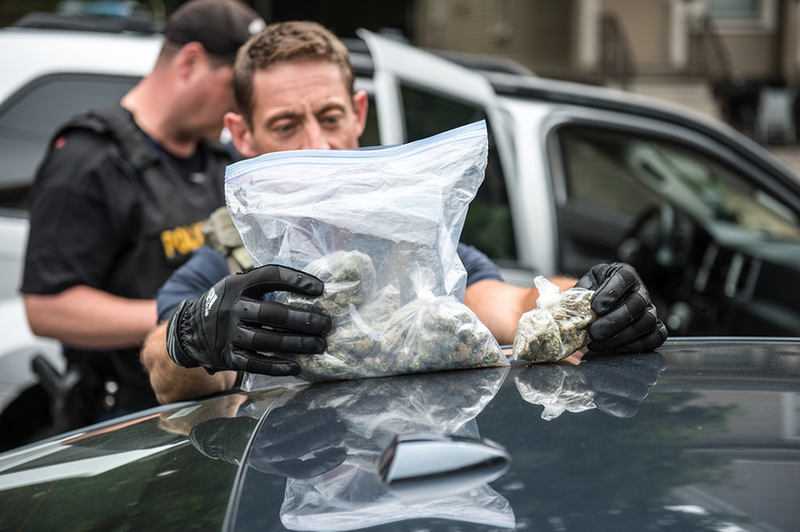 In terms of policing, the scent of weed has fucked over a lot of people. Basically, a cop claiming to have detected a dank odor has long been one of the easiest ways for them to establish probable cause, or the amount of evidence required to search a person, make an arrest, hold someone for trial and/or move forward with legal searches. The thing is, it’s nearly impossible to validate a cop’s assertion that they smell weed, as it doesn’t come with the same kind of physical evidence that what they collect via sight does, which, of course, is why it’s a go-to for cops to conduct searches for which they may not have other grounds. But how will this legacy change amid the Green Rush and the overall movement to legalize weed? While some lawyers point out that officers can still use weed stench as grounds for probable cause in states where weed is legal — going as far as to suggest that this may generate an increase in marijuana DUI arrests — other attorneys say otherwise. This isn’t a disagreement as much as it is an example of how much gray area there is here legally. Barry Cooper, a former DEA agent and a legal consultant in drug-offense cases who now runs a project disseminating information on the War on Drugs from the inside. Morgan Fox, the director of communications at the Marijuana Policy Project, a nonprofit in D.C. working to change marijuana laws. Allison Margolin, co-founder of Margolin and Lawrence, a firm handling cannabis licensing, compliance and criminal defense in L.A.
Cooper: There’s only three probable causes for searching an automobile — a credible informant; a canine’s tip; or when an officer uses one of his senses to detect that there’s contraband in the automobile. The most common way of doing so is a cop saying they smell the odor of marijuana coming from an automobile. At least speaking for myself, I alleged to smell marijuana to obtain probable cause many, many times. Essentially, if someone refused to consent to me searching their car, I’d just tell them I smelled marijuana so I could do it anyway. As a top law enforcement agent in the U.S., I knew a judge would believe me over the “bad guy” every time, so I could get away with lying. I usually didn’t have to to lie about it though, because I loved making my dog “false alert” instead, using commands to excite the dog in order to get them to communicate a response, even when narcotics hadn’t been detected. I did a reverse version of this a lot, too: I’d search a car under weak legal reasons and discover say, 800 pounds of marijuana; in my report about that discovery, I’d say that I’d smelled marijuana before searching the car, just to ensure I’d established solid probable cause, even though I didn’t actually have probable cause at the time of my search. I’m an expert witness in court, and I’ve never seen a judge refute an officer’s testimony that they smelled marijuana as the probable cause. I’ve never seen anyone win a lawsuit where officers searched a car based on the odor of marijuana and didn’t find anything either. It’s an obvious hole in equity in terms of the Fourth Amendment — unreasonable search and arrest. Things, though, are getting complicated in states where marijuana is legal, like California. They’re having to retrain police dogs who are used to alerting officers about the smell of marijuana. That’s millions of dollars worth of police dogs who are now being re-trained, but I don’t think you can retrain these dogs to not alert for marijuana. There are other intricacies here as well. Say I live in Colorado where marijuana is legal, so I have some marijuana in my car or I was smoking marijuana nearby my car, but then I drive to Texas where marijuana is illegal and get stopped. Even though I no longer have that marijuana in the car, the dog may alert, or the officer may say he smells weed and search me. From my perspective, that’s an illegal search, because when I had the marijuana, it was illegal. Ultimately, we’re all from the United States. That’s why the federal government should make some of these policies clear, but they aren’t. Fox: One of the complications with the smell of marijuana and probable cause is that there’s no way to prove it beyond a responding officer’s word, which almost always stands up in court. It’s totally subjective and gets used to instigate searches that would’ve otherwise not had a probable cause. I don’t have the data on this issue in regards to people of color, but I’d expect it to be similar to what happens with drug dogs. According to the Supreme Court, you don’t need a warrant to bring out a drug dog, and studies show the dogs were brought out on people of color far more often and resulted in far more false positives. In places like Washington, D.C., the smell of marijuana is no longer probable cause for someone walking down the street or on the subway, but until we get an actual chemical test for impairment, we’re going to continue to see the smell of marijuana used for sobriety tests and searches regarding automobiles. We do already have the tools to test for inebriation through field-sobriety testing and drug recognition experts, but unfortunately, the training for drug-recognition experts is expensive so police departments bristle at spending that money, which is silly because they’ll spend the money on chemical tests. I think because there’s a chemical test for alcohol, lawmakers and law enforcement want to have something similar for marijuana. The problem is it doesn’t exist yet. I think it will at some point, but I don’t know when. That makes things dangerous now because the push for it is making jurisdictions consider using technology that hasn’t been proven to be effective, and in many situations, result in false positives that cause legal trouble for those who weren’t even impaired. Margolin: Over the last 15 years at our firm, the smell of marijuana was the main source of probable cause for about 80 percent of the search warrants we dealt with in state and federal court. This didn’t change until November 2016 when Proposition 64 [the Adult Use of Marijuana Act that made recreational use legal] was passed in California. That’s when the smell of marijuana stopped being probable cause in many situations. Since then, the number of criminal cases have declined dramatically. The same goes for our business. In the last 18 months, our practice has converted from 90 percent criminal cases to 90 percent business licensing. The decline in arrests is part of the reason why there’s room for some of these restorative justice policies to go into effect. The District Attorney of San Francisco, for example, is now able to go back and review older marijuana-related cases because there aren’t many new ones being created in the state. Theoretically, I understand how it might seem like there are violations that could happen in legalized states that could be violated based on probable cause — for example, cracking down on people who are smoking in public. But I don’t actually see that happening. I don’t see the rate of weed DUIs going up either. I’ve been handling marijuana DUI cases since about 2004 and would say there’s only been a decrease in these cases following legalization. So I’m not sure what the need for probable cause in this context would ever be.